I have wanted to make an “alien dungeon” for quite sometime already. This is my shot at it. I wanted to add strange shaped rooms mixed with cavern-like structures and more symmetric rooms. While drawing this I was thinking of the caves and structures you could see in Prometheus and Arrival for example. 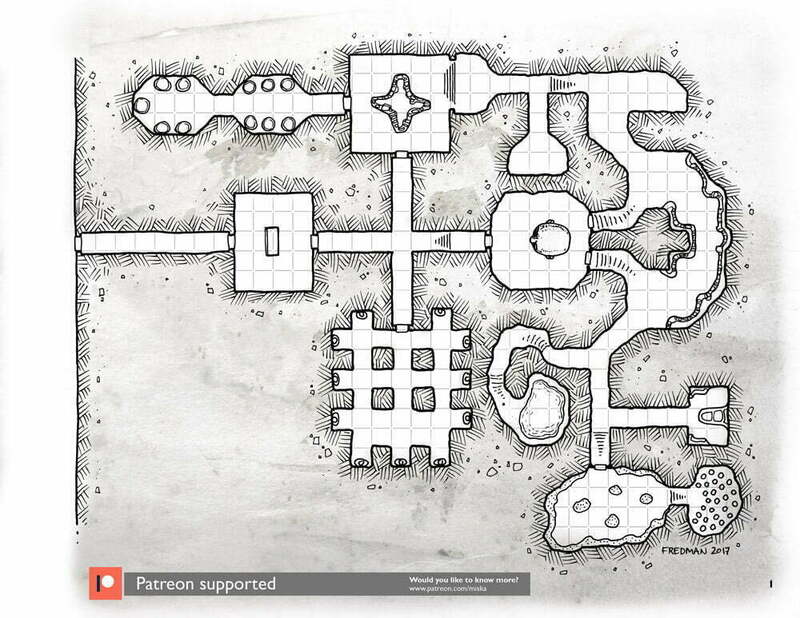 I think that this “alien dungeon” could work in a fantasy setting as a weird dark cultist temple or something similar. A high-resolution version of this map is available for a flexible Pay What You Want price here.